I am originally from Chino Hills, California (located 1 hour east of Los Angeles). How did you start your career? What did you do before you started at Criteo and what brought you to Criteo? I was a Japanese language major at California State University Fullerton and I originally came to Japan in 2001 for a one-year study abroad program at Waseda University. After graduating and saving up some money, I came back to Japan in late 2003 to look for a job. The main goal at the time for me was to find a company that would sponsor my visa and get practical working experience, so I worked as an English Instructor at Berlitz for first 3.5 years of my career. Knowing that I wanted to do more than English teaching, I shifted my career into recruiting per the advice of many friends who had taken the same path. I was fortunate to work at Robert Half and Hays in the first 8 years of my recruitment career, gaining experience in permanent recruitment, temp staffing, and RPO (Recruitment Process Outsourcing). Right before joining Criteo, I worked at LINE as a Senior Recruiter, focusing on Engineering recruitment for the Tokyo office. I was looking for a change and I just happened to receive a scout mail via LinkedIn from my current director. 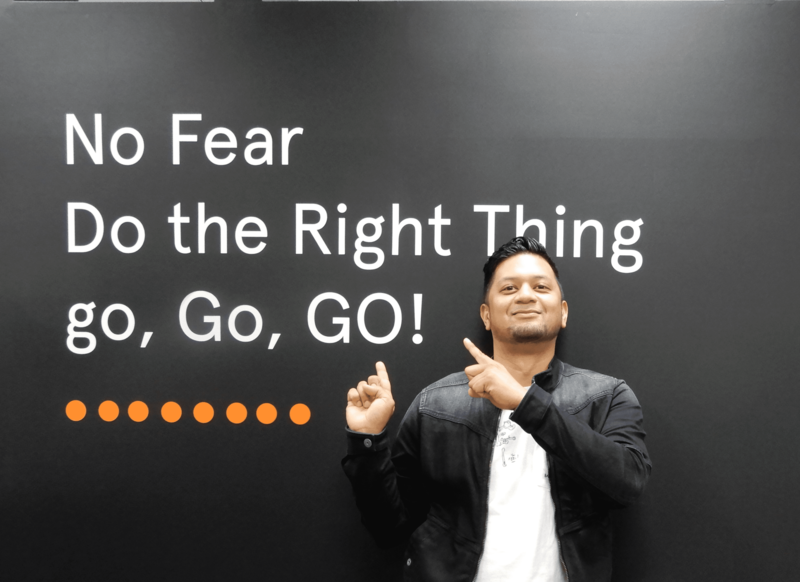 After a number of interviews with members of the team, I felt that Criteo aligned with my career goals as a Recruiter and am glad I made the decision to join. I joined as a Senior Recruiter two years ago. Since then, I have not only been able to work on building our teams in Japan and Korea, but also supported recruiting efforts in Singapore and India as well. What are your current challenges? What are your favorite aspects of your job? Japan is a candidate driven market, where recruiters (agency and in-house) compete for a lot of the same talent in a very limited talent pool. Despite the competition, I love the challenge of finding creative ways to source, promote our talent brand, and attract great talent. Recruiting is a team effort and I enjoy partnering with business leaders, hiring managers, and team members to hire the right talent together. What is something people wouldn’t expect to know about Talent Acquisition? Recruiters typically carry a load of 8-10 or more roles to fill per quarter, sometimes working on roles outside of their local market, In Tokyo, though the majority of our positions we recruit for are based out of Tokyo and Seoul, we sometimes need cover recruitment for roles outside of North Asia. Personally, I have been involved in hiring for our Gurgaon office in India since Q2 this year. Since we don’t typically rely on agencies to help us fill our roles, we spent a large majority of our time directly sourcing and screening candidates every week. One of the key hiring criteria at Criteo is culture alignment. Our culture is summed up in our core values – Do the right thing, No Fear, and go, Go, GO! Our Tokyo office is very diverse and we have made big strides in the past 2 years to build and cultivate a strong one team culture. How has Criteo helped foster your career to where you are today? What kinds of opportunities did Criteo present and how did you take advantage of them? Criteo has giving me the opportunity to not only utilize my experience to recruit for multiple markets in APAC, but also a platform to share recruitment best practices with fellow colleagues locally and globally. I am currently involved in creating training content with other Sr. Recruiters in other offices in an effort to further upskill and develop recruitment expertise of our TA teams globally. I have also had opportunities to run system training sessions and interviewer training with hiring managers and senior members in the business. Not satisfied with the local meetups/networking events, we decided to pilot a quarterly meetup event in Tokyo where we invited potential job seekers to our office meet and talk with people from the business over food and drinks. Not only did this help us to drive our talent brand, but ultimately aided in hiring a number of talented sales professionals who originally were “on the fence” before attending the meetup. After sharing our success with the global team, our colleagues in Barcelona imported our meetup event template and also saw similar successful results. I am currently focused on developing my recruitment career at Criteo for the time being. Our APAC TA Team motto is “building Criteo’s future with every hire” and I take pride in contributing my expertise to drive this mission. I love singing, cooking, and eating! Though there is no single right way to get into recruitment, if you are looking to become an in-house recruiter, I would recommend starting on the agency side, transition into RPO (Recruitment Process Outsourcing), and then move to an in-house recruiting role. If you would like to learn more, please feel free to reach out to me on LinkedIn or at j.isaac@criteo.com!